The Rambo Supreme Turnout — note the Surefit neck design and V-front closure. Photo courtesy of Horseware. ‘Tis the season to shop for turnout sheets and blankets, and EN has been hard at working putting top brands to the test. If you live in a climate where temperatures and weather patterns can be all over the map for six months of the year, having options in your blanketing system is a godsend. Having options can also be obscenely expensive — or so you thought. 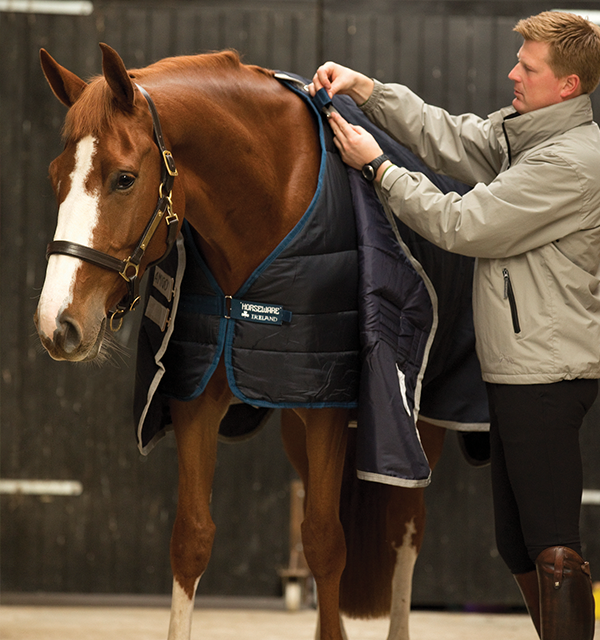 The Rambo Supreme is Horseware‘s best-selling turnout thanks to superior heat retention and a comfortable cut. Made from ballistic nylon and featuring Aquatrans technology, the turnout is highly durable, waterproof and breathable. Features include Horseware’s signature Surefit neck design, V-front closure, leg arches, reflective strips, wipe-clean tail cord, liner loops, three secure cross surcingles, shine-enhancing polyester lining, thermo-bonded fiber fill and a detachable hood. I’m super picky about how hoods fit and the Rambo Supreme comes with one that checks the boxes — not too tight and long enough to reach the ears. Photo courtesy of Horseware. The Rambo Supreme has a slew of features to get excited about, but I bolded my favorite above. The fact that Horseware provides the option to attach different liners in their turnouts is a total game-changer. 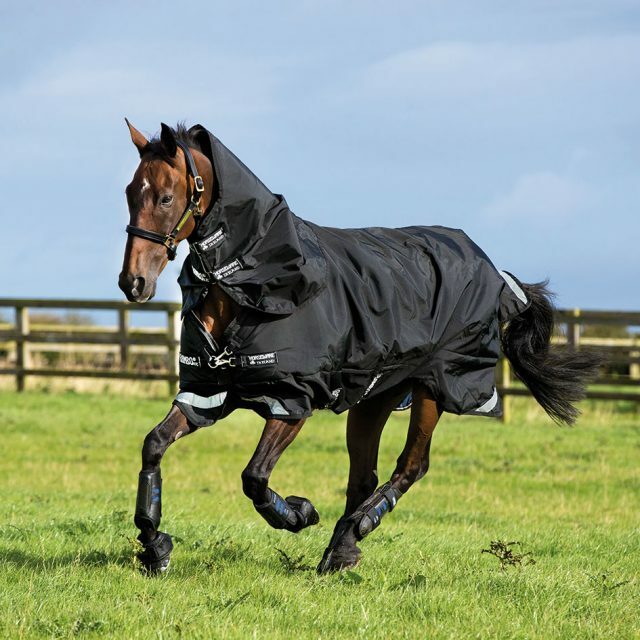 It gives you the option to use your turnout as a sheet throughout the warmer months and clip in liners as the weather turns colder to convert it into a toasty rug for the winter months. That’s exactly what I’ve been doing through the fall season with my Irish Sport Horse, Derry, and it’s worked beautifully. I started out with using the Rambo Supreme Lite as my staple turnout sheet. Currently on sale for $359, it may not be the cheapest turnout on the market, but Horseware guarantees that all Rambo turnouts will remain waterproof and breathable for a minimum of three years, so your investment is protected. Horseware’s Turnout Trade-in promotion is also currently underway, which means you can trade in your old turnout from any brand and get $50 off a new Rambo while your old turnout goes to a horse in need. The liners attach by Velcro loops to the neck of the outer blanket, and clip onto the back corners to prevent the liner from slipping. Photo courtesy of Horseware. Horseware sells a slew of liners at affordable prices that you can clip into the Rambo Supreme to create a tough-as-nails turnout in a variety of weights. The liners attach by Velcro loops to the neck of the outer blanket, and clip onto the back corners to prevent the liner from slipping. Here’s the most exciting part — the liners are on sale right now! Horseware’s liners are currently priced at $64.95 for a 100-gram liner, $74.95 for a 200-gram liner, $84.95 for a 300-gram liner and $89.95 for a 400-gram liner. Switching the liners out is super easy. I used the 100-gram liner before Derry was clipped and switched to the 200-gram liner after he had his first haircut of the season. He is staying super warm and dry even in the worst of the Pennsylvania weather currently, and I have the 300-gram liner at the ready for when the temperatures really start dropping. I wondered if the liners would slide around, but I am happy to report that they don’t budge at all. You can’t even tell I have a liner clipped inside the Rambo Supreme in the photo below. It also fits like a glove and hasn’t caused a single rub — two thumbs up for design and quality. Horseware also sells other liners featuring Vari-Layer technology, which uses additional layers of thermo-bonded fiber across the back and hip to provide maximum heat retention and comfort with less weight. The 250-gram Vari-Layer liner is currently on sale for $89.95, with the 450-gram liner on sale for $104.95. You can also really spoil your horse with a Rambo Ionic therapy liner, which is currently on sale for $214.95. If you’re not a fan of the liner system, the best-selling Rambo Supreme is also on sale in a 200-gram medium weight at $389.95 and 420-gram heavy weight at $424.95 — with all the same fabulous features discussed above. Click here to view all of the options available in the Rambo Supreme line. 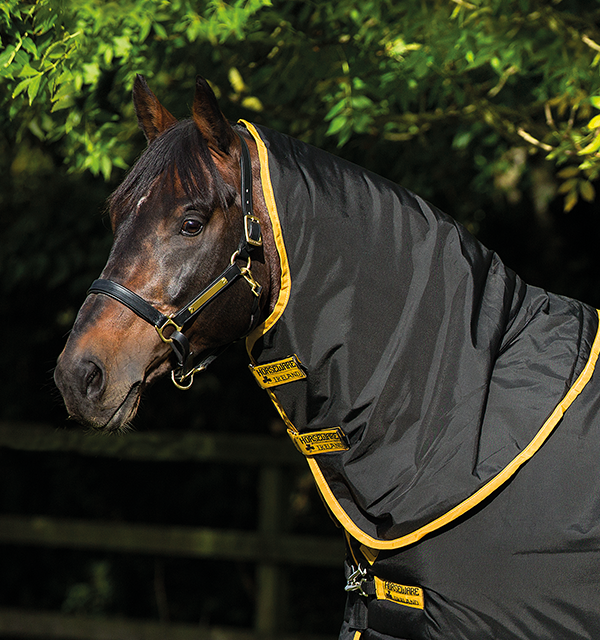 After thoroughly testing the Rambo Supreme and Horseware liner system, I’m happy to give this blanket full marks. Have you tried the Rambo Supreme from Horseware? Let us know in the comments below.